Most everyone knows that going to see your dentist for regular checkups and cleanings can help save your smile — but did you ever stop to think that it just might save your life? That's what recently happened to 11-year-old Journee Woodard of Edmond, Oklahoma. The young girl was having a routine teeth cleaning when hygienist Rachel Stroble noticed something unusual: The whites of her eyes (her sclera) had a distinctly yellow tint. Dr. Michael Chandler, Journee’s dentist, confirmed the hygienist’s suspicions, and advised her mom to take her for further testing. The tests revealed that Journee had a tumor covering parts of her pancreas, gallbladder and liver; it could have ruptured at any moment, with devastating consequences. The tumor was removed three days later in a 9-hour operation, and Journee is now recovering. As for her dentist, Dr. Chandler told reporters that he and his staff were just doing their jobs thoroughly. “It's hard to feel like I’m a hero,” he said (though others might disagree). Is this a one-in-a-million case? Maybe — yet for many people, a family dentist may be the health care professional who is seen more often than any other. That can put dentists in the unique position of being able to closely monitor not only a person’s oral health, but also their overall health. There are several reasons why that’s so. 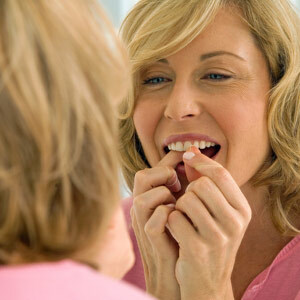 One is that most systemic diseases (such as diabetes, leukemia, and heart disease, for example) can have oral manifestations — that is, symptoms that show up in the mouth. If your dentist notices something unusual, further testing may be recommended. Dentists also regularly screen for diseases specific to the mouth — such as oral cancer, which has a much better chance of being cured when it is caught at an early stage. 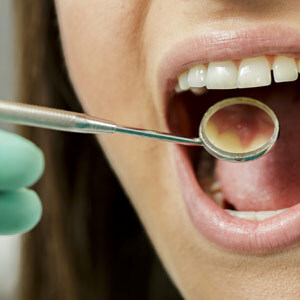 But beyond checking for particular diseases, dentists often notice other things that may indicate a health issue. For example, if you complain of dry mouth or snoring, and appear fatigued in the dental chair, your dentist may suspect undiagnosed sleep apnea: a potentially serious condition. Many other signs — such as yellowed eyes, a pounding heart rate, or shortness of breath — can indicate potential problems.